After North Carolina failed to repeal House Bill 2 (HB2), the law which allows for the discrimination of the LGBTQ community, the NBA and NCAA have reconfirmed their boycotts of the state. The Charlotte City Council rescinded its expanded non-discrimination ordinance, which had been nullified by HB2, on Wednesday in order to make way for a repeal of HB2. The North Carolina General Assembly held a special session that same day to consider repeal, but failed to do so after a consensus could not be reached. Republican Senators filed a repeal bill that put in place a six month moratorium on new ordinances, upsetting Democrats who feared they would, as Sen. Berger suggested on the floor, look for a “long term solution,” to such ordinances passing in cities and municipalities. “The NCAA’s decision to withhold championships from North Carolina remains unchanged,” NCAA spokesman Bob Williams said in a statement. An NBA league source told ESPN‘s Andy Katz that its stance in withholding the All-Star Game from Charlotte also had not changed. 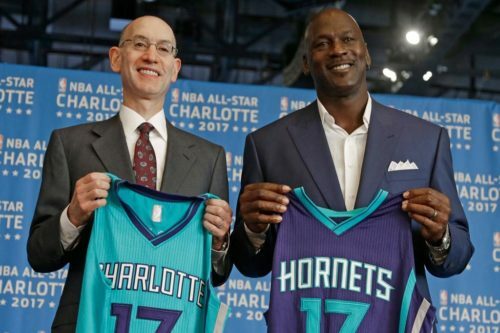 The 2017 All-Star Game was initially to be held in Charlotte, but the league announced over the summer that they were pulling it from North Carolina in response to the law, which nullified non-discrimination ordinances passed by cities across the state, capped the state’s minimum wage and requires transgender individuals to use the bathrooms and locker rooms matching the gender on their birth certificate in government owned buildings. It has since been moved to New Orleans. The NBA has said that they intend to hold the 2019 All-Star Game in Charlotte is a “high priority,” but only if the situation around HB2 were to change.